In the first chapter of “Where to set up your international business”, we highlighted some of the advantages and disadvantages when incorporating your global business offshore vs onshore and how a well-designed group structure could empower you to leverage the best of both worlds. 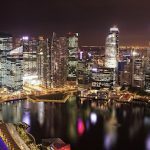 In the second chapter, we reviewed some of the most prominent business and financial centers in Asia and we pointed out some of the key aspects you should consider when deciding if they are suitable for your specific business. Today, we move to some of the most attractive international company centers in North America, Central America, and the Caribbean. The Americas host most of the low tax/offshore jurisdictions, although mainly in the Caribbean. Many of these jurisdictions had in the past a different approach when it comes to companies set up by resident and non-residents. Usually, non-resident companies were set up under International Business Company (IBC) laws which provided significant tax and costs advantages versus incorporating ‘onshore’ in a high tax location. Most of them offered no local taxes, minimal ongoing compliance requirements, and privacy. Some offshore companies were restricted to operate locally, others allowed it. However, pressure from the OECD and the EU to offshore jurisdictions, under the OECD’s Base Erosion and Profit Shifting (BEPS) Inclusive Framework, has led the latter to amend and phase out their offshore tax regimes with ring-fencing features (in which only non-residents benefitted from tax exemptions). 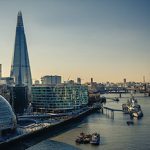 Most offshore jurisdictions are opening their international business company regimes to residents and making offshore companies subject to local taxation. Implications of these developments vary across jurisdictions, as some are switching their tax laws to a territorial tax system, whereby income from foreign sources is not subject to taxation. Other offshore jurisdictions are implementing economic substance requirements for certain business activities such as for exploiting intellectual property rights, where a level of control and management, local expenditure and full-time employees must be maintained within the jurisdiction. Offshore companies are not the be-all and end-all though. 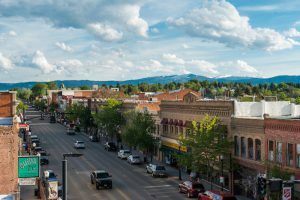 The same reasons that make them an attractive business location might make them not suitable for your specific business and/or personal situation and you could end up having serious business, compliance and tax issues. However, they can also be powerful global business vehicles. If the proper business structuring and personal planning are done, one can enjoy all the benefits that offshore jurisdictions offer while minimizing their downsides. The following piece does not intend to provide a comprehensive review of all the potential legal vehicles for international business available in the Americas or provide a detailed report of each jurisdiction covered. It is just an overview of some of the most well-known business centers. Nothing in this article constitute legal or tax advice of any kind. 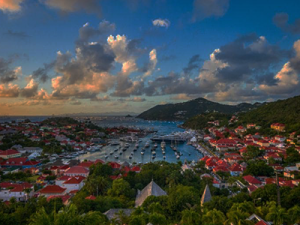 We start with the British Virgin Islands, which is one of the most popular offshore destinations. As a British Overseas Territory, BVI has some of the most stable and compliant offshore company formation set ups of all offshore jurisdictions. Although it is still an offshore company, with all that this entails, it may be fair to say that BVI is one of the most recognized offshore jurisdictions. This helps when it comes to accessing solid ‘onshore’ banking options. BVI companies are not subject to taxes in the BVI and reporting requirements are nil. You are required to keep accounting records but there is no need to file them with the relevant authorities. These must be stored at the specified office of the company (not necessarily the registered office, but some office, somewhere. If you run a business that has some public exposure and you wish to incorporate in a tax-neutral jurisdiction – a BVI International Business Company (IBC) is an option that you may consider. If you wish to set up an investment business, such as an investment fund, a fund management company or a securities broker-dealer, the BVI has a well-regulated environment with reasonable compliance requirements for regulated entities that will provide confidence to your clients or investors. However, if you run an e-commerce business or you need to accept credit card payments, you may struggle to find a payment aggregator with reasonable fees with a BVI company – especially if you have a startup with little or no business background. We can help place these companies – but it is not always easy to find solutions. The BVI might be useful in an e-commerce business group structure to operate your platform and legally minimize the tax burden. However, for those looking for a single entity structure – it may not be as useful for accepting credit card payments. Note that BVI companies conducting relevant activities such as banking, insurance, fund management, shipping, intellectual property business, holdings or trading goods with or providing services to affiliates are subject to economic substance requirements. These businesses must be controlled and managed from BVI and have adequate expenditures and manpower in BVI, among other requirements. Nevis is one of the best places to incorporate from an asset protection standpoint. A Nevis LLC is one of the most protective vehicles available worldwide. If you are running a business that entails certain liability or your company is holding assets – it might make sense to go to a place where the claimant would need to hire a local lawyer licensed in Nevis and post a cash bond with the court in order to bring suit against you. Attorneys in Nevis are not allowed to work on contingency. The creditor must pay for all legal services up front and in full. Nevis LLC membership interests may not be confiscated by court order and, in addition, Nevis LLCs may benefit from charging order protection. Furthermore, LLCs are more flexible and have less operational requirements than corporations. Corporate by-laws rigidly define how a corporation will operate, but in LLCs, the Operating Agreements can be customized and adapted to your needs as long as they are not against the law(s). In a corporation, decision making is subject to more rigid procedural formalities such as corporate board meetings or board resolutions and a failure to comply with these formalities may allow plaintiffs to pierce the corporate veil and trigger personal liability. LLCs may be considered tax transparent and may avoid triggering CFC laws of certain jurisdictions that recognize the tax-transparent status of LLCs – this makes Nevis LLCs not necessarily seen as tax evasion vehicles, which could help when obtaining banking, in Singapore, Hong Kong or Mauritius to name a few. Nevis LLCs also have access to fintech solutions such as Transferwise Borderless accounts or Payoneer. Because of its legal structure simplicity, its potential pass-through status and its asset protection features, a Nevis LLC may work either for businesses that are subject to a high degree of liability, for holding and protect assets of group structures or for global professional service business that are looking for a simple setup and want to keep corporate maintenance and ongoing compliance costs low and do not require accepting credit card payments. However, Nevis recently passed the Nevis Business Corporation (Amendment) Ordinance, 2018, and the Nevis Limited Liability Company (Amendment) Ordinance, 2018 – LLCs and companies incorporated after December 31, 2018, are subject to the local tax regime (currently, 33% tax on worldwide income). Under these amendments, LLCs and corporations incorporated on or before December 31, 2018, will still enjoy full tax exemptions until June 30, 2021, provided that they do not carry out business in Saint Kitts & Nevis. 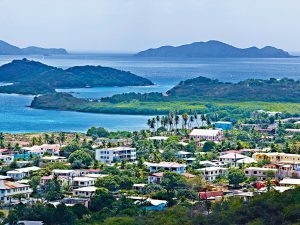 The Nevis Island Administration announced that it may introduce additional legislation to implement a local territorial tax system for corporations and LLCs established from 1 January 2019. Nevis also stands out for its international trust legislation – an explicit exclusion of foreign law and protection from foreign judgments, enforceable spendthrift provisions, and a statute of limitations of 2 years, among other features, which may make the Nevis Trust one of the most powerful asset protection tools available worldwide and combined with an LLC may certainly build a strong corporate structure for your assets. The Cayman Islands have traditionally been the go-to jurisdiction for offshore investment funds and captive reinsurance companies. Unlike other offshore jurisdictions which have a two-sided approach when it comes to taxation, the Cayman Islands does not tax either residents or non-residents – there is no direct taxation in Cayman. In addition, it is one of the most stable and compliant “offshore” financial centers with a very solid and large financial sector. The Cayman Islands Monetary Authority (CIMA) is globally recognized for its effective and transparent regulatory environment, meeting or exceeding international standards with its stringent regulations against anti-money laundering and terrorist financing. The Caymans is the number one jurisdiction with regard to offshore funds. 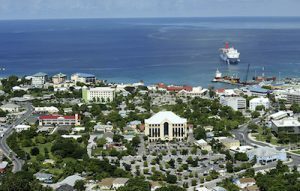 A variety of fund structures and a light-touch regulation have led to more than two-thirds of offshore funds worldwide to be domiciled in Cayman. Cayman is also the second largest captive insurance center and an important global player in structured finance. If you are setting up an offshore investment-related or financial and insurance services business, whether an investment fund, fund manager, fund administrator, broker-dealer, a bank or even a special purpose vehicle for certain structured finance transactions, among others, you might consider the Cayman Islands as your headquarters. Furthermore, the Cayman Islands has a variety of structures available such as companies limited by shares or by guarantee, pass-through limited liability companies, limited partnerships, limited liability partnerships, trusts, STAR Trusts or foundation companies to fulfill your specific business structuring and governance requirements. The Caymans has also launched a special economic zone – The Cayman Enterprise City (CEC), where qualifying Cayman companies within the science, technology, and media industries may benefit from operating in a tax-free environment with a tax resident entity. In addition, CEC-incorporated company officers are eligible for renewable 5-year work/residency visas in The Caymans. This means that the Cayman company can be effectively controlled and managed from The Caymans thus avoiding any potential foreign tax liability that can occur when the ‘mind and management’ is determined to be in another jurisdiction. Same as in the British Virgin Islands, the Cayman Islands have also introduced economic substance requirements for companies conducting relevant activities related to financial services, licensed investment businesses (excluding investment funds), insurance, IP holdings, equity holdings and businesses trading with affiliates, among others – companies subject to economic substance are required to have adequate physical presence within the islands. Although its reputation was somewhat harmed due to the ‘Panama Papers’, Panama is one of the largest international distribution and free trade centers worldwide and the most popular jurisdiction for offshore foundations. The most common commercial entity in Panama is the corporation, known as Sociedad Anónima (S.A.). Corporations are taxed on a territorial basis, hence corporations in Panama that exclusively conduct their business outside of Panama are exempt from all local taxes including income tax, capital gains tax, withholding taxes, and stamp duty on transfer of corporate shares, and other property. Local-source income is taxed at a 25% rate. Panama companies are best used to leverage the excellent infrastructure and communications for international exports and shipping companies, especially those established in one of its Free-zones. Also, international maritime commerce profits might be exempt from taxation, regardless of the place where the contract is executed. 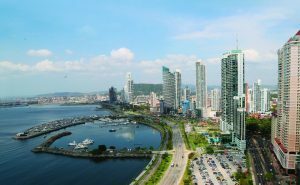 Depending on where the UBOs and the subsidiaries are located, Panama can be an option for those seeking to establish a holding company in a tax-neutral jurisdiction or for companies providing professional services internationally. For e-commerce businesses seeking USD currency merchant accounts that for any reason prefer not to establish a US entity to process payments – Panama is also an option to consider. In order to obtain a merchant account, e-commerce companies will need to notify the authorities that will be initiating its business operations in Panama – called as “Aviso de Operación” (Operations Notice), which document will need to be provided to the bank. They will need to register the business before the Municipality of Panama, which adds some small costs and submit an Annual Tax Filing. If the company has foreign sourced income there might be a minimal tax burden. Banking in Panama is generally of high quality with full banking services available. Panama companies that are not operating in Panama (offshore companies) may face certain difficulties and a strict due diligence process when opening bank accounts and, usually, a personal visit to the bank is required. With regard to international banking, Panama companies are usually well-received in offshore financial centers but ‘onshore banking’ options such as EU accounts may be considerably limited. As we previously mentioned, Panama is also well-known for its Private Interest Foundation structure which is perhaps the most popular offshore foundation worldwide due to its legal structure flexibility, confidentiality and tax neutrality features – which makes it a powerful asset protection and tax planning vehicle within certain business group structures for private/corporate asset management, estate planning, charitable and philanthropic purposes and various corporate offshore schemes. Belize is one of the cheapest offshore setups. However, you get what you pay for. 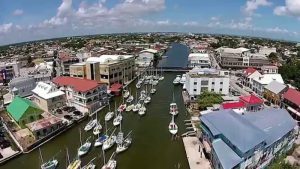 Belize is also one of the least reputable offshore jurisdictions. Belize has historically struggled to adapt and enforce any of the international standards in terms of money laundering and tax evasion. This has led to a poor reputation within the financial services industry. For this reason, you might face issues depending on the jurisdiction where your clients/vendors are located as wiring money to a Belize International Business Company can raise red flags in the banking industry. That being said, if you have a solid business, it’s possible to get a bank account in a reputable financial center. Belize IBCs used to enjoy no tax and no fillings. This is set to change – due to pressure from the EU and the OECD, Belize IBCs are now subject to local taxes – 1.75% of the chargeable income amounting to a sum greater than BZD 3 million, or 3% of the chargeable income amounting to a sum lesser than BZD 3 million. However, certain income derived from outside of Belize may be exempt from income and business tax. In addition, to qualify for the IBC regime, certain companies might be subject to physical presence and tax residency requirements. However, Belize also has LLC legislation – LLCs are tax-transparent entities. A Belize LLC may work for certain businesses or for certain purposes within a group structure. If you are looking for privacy and a low-cost structure to hold certain assets or have a business that entails a certain degree of liability and you have minimal public exposure or the certain type of clients and do not need solid transactional banking options – then Belize may work for you. For the rest, there may be better options available. US LLCs might be useful in certain group structures to access USD merchant processing options available in the US. For e-commerce and internet businesses, it is paramount to obtain reliable credit card processing and payment processing options. Usually, most of USD top payment aggregators work best with a US company and US Bank account. LLCs are generally tax-transparent entities, meaning that are treated as a partnership for tax purposes – if the group structure is properly set up with the proper transfer pricing arrangements and other legal agreements, and there is no US effectively connected income (ECI) – it may be possible to benefit from the US business reputation and vast offer of USD payment processing without having any additional tax liability beyond the fair market value services provided by the US entity. Bear in mind that in any country, if you are dealing with “Arm’s length transactions” then the services must be rendered at fair market value, and ideally have a transfer pricing arrangement. Also, it used to be that foreign-owned LLCs did not necessarily need to file a return, but this has changed – now this information might be reported on form 5472. This entirety of this article is not tax or legal advice, you must consult a US CPA and legal advisor on what are the tax and legal implications of using a US entity in your specific situation. Each jurisdiction has its pros and cons – and are more suitable for different business activities and purposes. If you wish to run an offshore trading company with solid ‘onshore’ banking, BVI could be an option to consider. If you are planning to set up investment management, fund or a financial services company – Cayman has some of the most flexible and light-touch regulation, yet reputable, worldwide. However, bear in mind that you will need to meet certain economic substance requirements. For those looking a shielded asset protection structure – they may want to look at the international trust and LLC legislation of either Belize or Nevis or, perhaps, a Panama Private Interest Foundation. If you need non-US USD merchant processing services, a Panama local corporation may fit your requirements. If you require accessing top tier payment processing options, then, if properly structured and with the help of a US CPA, you could set up an LLC in the US without creating any additional tax liability, yet enjoying all the benefits. There are other attractive jurisdictions for certain businesses that we have not covered in this article – for instance, gambling companies can operate legally in Costa Rica with just a data processing license, which is one of the most cost-effective and taxwise solution for these companies. 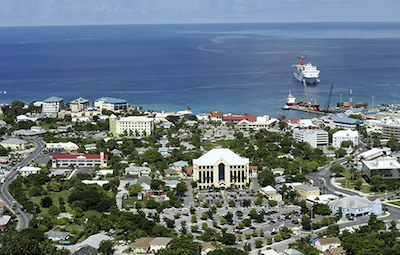 Businesses manufacturing and exporting goods worldwide, among other activities, could consider Barbados, which provides a tax-resident but low-tax company (sliding scale rate starting from 5%) that has access to more than 40 Double-tax agreements (DTA) – which in some instances and fulfilling certain requirements, may allow shareholders to repatriate profits to their country of residency tax-free. Those interested in setting up in a British Overseas Territory, but for some reason prefer not to do it in BVI or Cayman – could consider Anguilla or Turks & Caicos, or Bermuda – in which many Fortune 500 companies have set up companies for holding assets, intra-group financing, shipping, aircraft leasing and holding of intellectual property rights, in addition to an attractive fund regime among others. Note that these activities may require economic substance within the jurisdiction of incorporation. Curacao may be a place to consider, it has several advantageous tax regimes in which you could benefit if you are looking at setting up a private wealth company investing in financial assets or a gaming business or you could consider an e-zone company if you are trading goods. If you are planning to set up a fintech Bank and you have limited start-up resources, you could look at Puerto Rico, Dominica or Saint Vincent which offer some of the most affordable banking licenses. However, the downside is that it is increasingly challenging for offshore banks to obtain and maintain correspondent accounts. If you trade goods or provide services across the Mercosur area, you could consider setting up in Uruguay, which offers a territorial tax regime and tax advantages over other jurisdictions – and where you could get residency by doing so. The bottom line is that international businesses may benefit from the ability to incorporate in the best strategic jurisdiction from which to operate. Certain jurisdictions are more favorable or provide more benefits for certain type of businesses and purposes. By leveraging these global structuring opportunities, you can effectively optimize your business. Contact us today, we will help you explore and determine the most suitable structuring options according to your business and personal circumstances. In the next letter, we will review some European jurisdictions. In the meantime, if you wish to compare jurisdictions side by side – you can use our jurisdiction comparison matrix incorporations.io.